Quick Post: This breakfast requires a little more time than the average, so it’s perfect for the weekend. Mine took at least 15 minutes for the liquid to absorb. My husband commented: “It looks like you’re killing your oatmeal”, to which I replied “I’m supposed to.” There is no oat texture left in this when it’s done and the bananas get all mushy, so if you have texture issues – fear not! 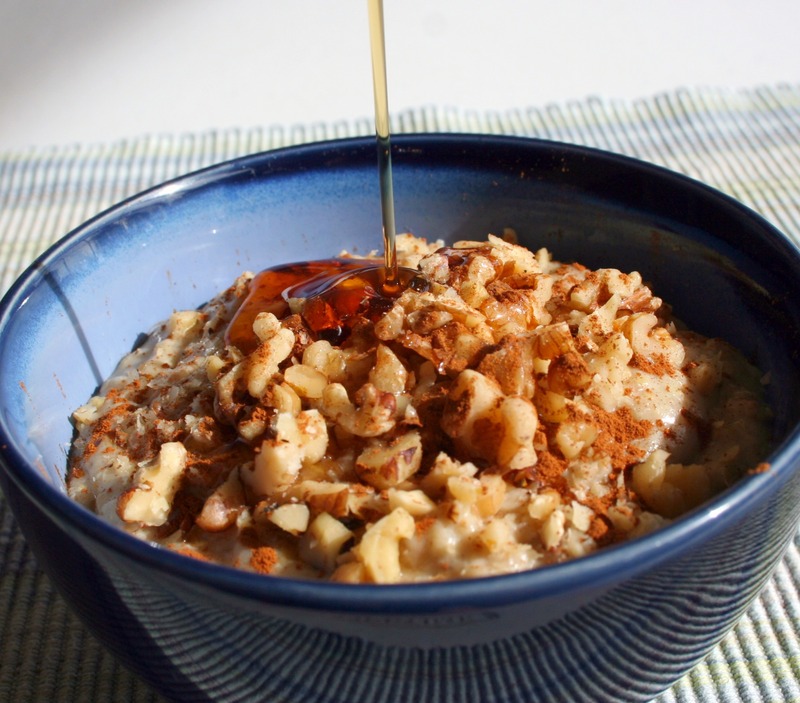 The addition of walnuts helps cut the near slimy-ness of this oatmeal. After I took the pictures, I thought to add raisins which also helped add textural interest and a little sweetness. I can tell you that this is filling, but I’m not full – to me there is nothing worse than feeling full and bloated; especially in the morning when there is things that need to be done. 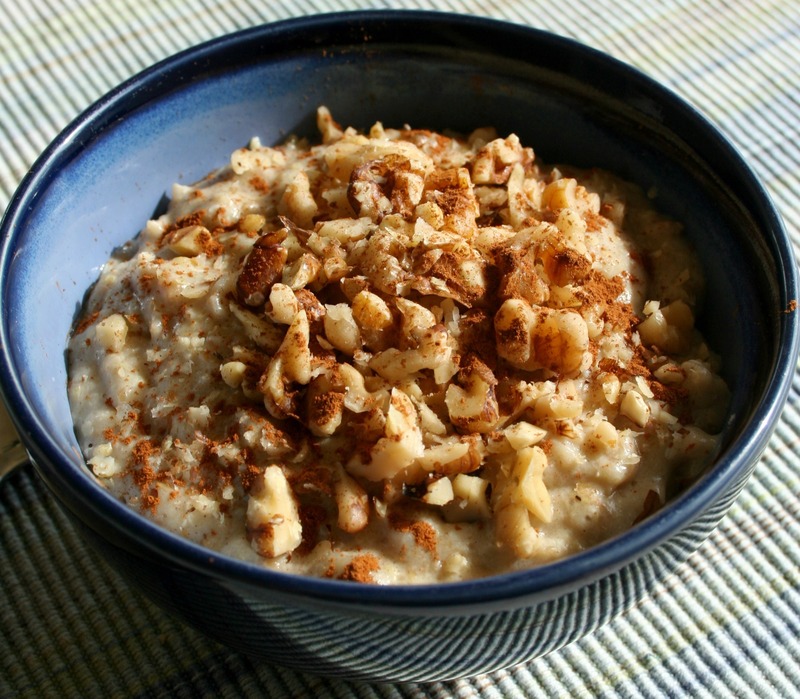 In a small pot, over medium heat, whisk the oats, cinnamon, sliced banana, water + almond milk together. Bring to a boil and reduce heat to a low boil. Stir a few times while cooking, until almond all the liquid is absorbed – about 6 to 10 minutes. Stir in flax meal and continue cooking for 1 minute. Temper your egg – In a small bowl, whisk your egg quickly and add about 1/3 cup of the hot oatmeal mixture slowly; being careful to avoid scrambling the egg. Slowly add the egg/oatmeal back into the pot and stir until thoroughly combined. Let cook, without stirring, for 2 more minutes then pour into a bowl and top with nuts and maple syrup. Enjoy!